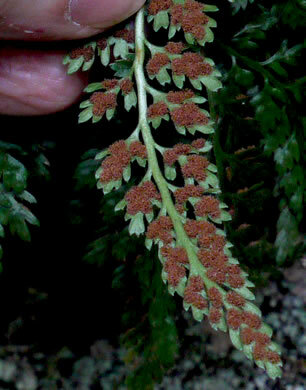 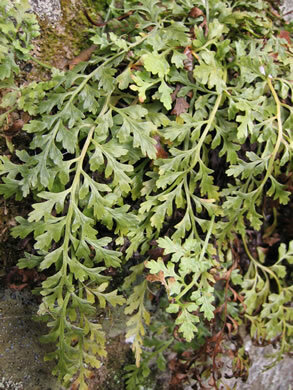 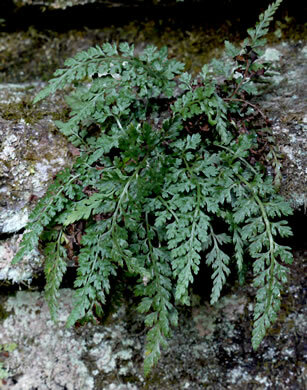 Sori few, 2-4 per segment, of varying lengths following the diverging veins, per Ferns of the Smokies. 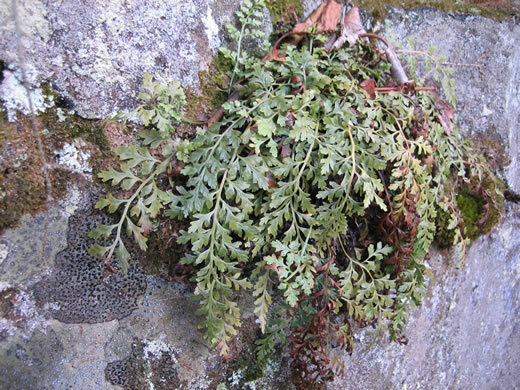 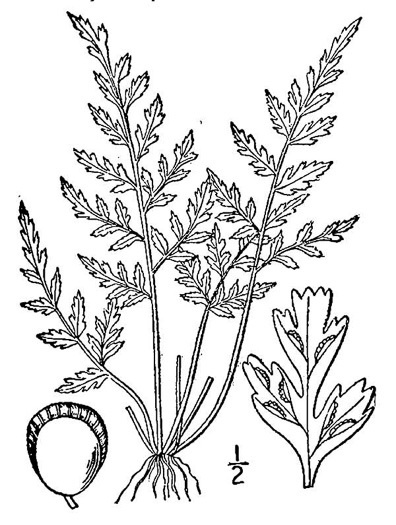 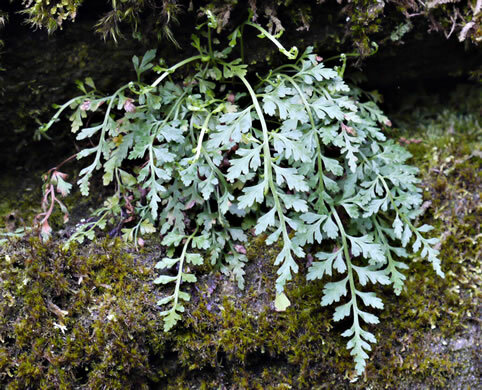 Small, delicate, bluish-green, slightly leathery, more drooping than erect, per Peterson Field Guide to Ferns of Northeastern and Central North America. 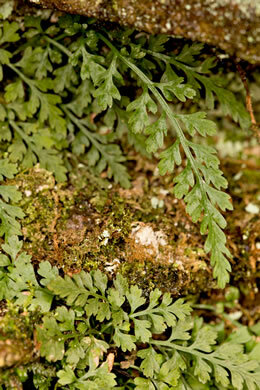 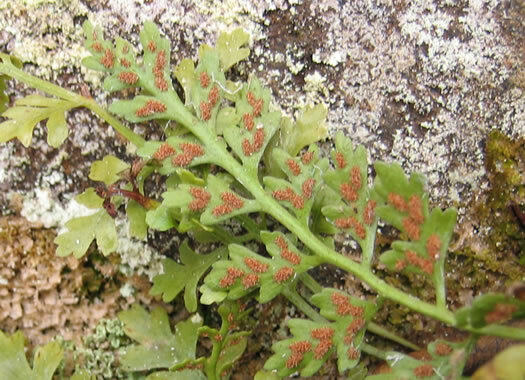 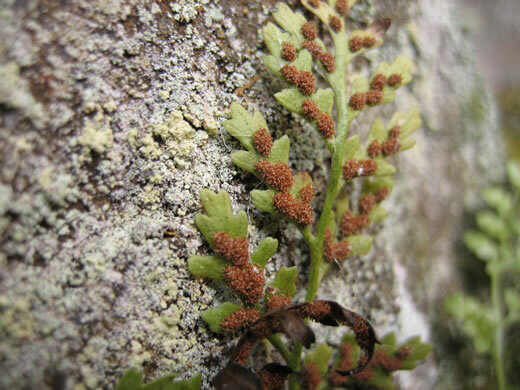 Sori few, mostly elliptical or narrow, often massing together at maturity, per Peterson Field Guide to Ferns of Northeastern and Central North America.